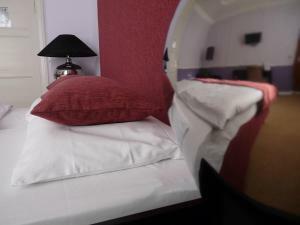 The modern rooms at Hotel Elba feature warm colours and an elegant en suite bathroom with toiletries. Each room is equipped with a minibar and TV. Guests are also welcome to relax in the cosy hotel library. The popular Savignyplatz Square is just 650 metres from the Hotel Elba, which offers many restaurants, cafés and bars. Berlin Zoo is a 15-minute walk away.